If you or someone you know is struggling with an issue that's affecting your wellbeing we have an online library of practical guides to help and support you. These cover areas such as abuse, bereavement, depression, eating disorders, panic, self harm, anxiety, sleeping and stress. We offer brief, focused counselling using a short-term model each lasting up to 50 minutes. Our wellbeing practitioners use a variety of counselling approaches to work with you towards your identified goal and support change or insight in a specific area of your life. We provide support for a variety of issues including anxiety, depression, relationships issues, bereavement, self-esteem and many others. We also provide specific treatments for those affected by phobias or traumatic memories. Our confidential drop-in sessions provide crisis counselling, guidance and advice. You will be able to talk to a wellbeing practitioner or health adviser who will offer advice, support and (if relevant) an onward referral. Drop-in consultations are usually about 15 minutes long. Occasionally drop-ins may need to be cancelled or rescheduled. We therefore recommend checking availability by calling 62172. Friendly, informal, confidential support for Kingston University students. Listening sessions are a new Student Wellbeing initiative broadening the type of support available during your time at University, offering an opportunity to chat face to face in a friendly, informal setting. Whether you're feeling homesick or worrying about deadlines, an informal space with an understanding ear is available via our health and faith advisors within Student Wellbeing. Bookable appointments, up to an hour, available throughout the year, call us on 0208 417 2172 or come to a Student Wellbeing drop-in to find out further information. Call us on 0208 417 2172 or come to a Student Wellbeing drop-in to find out further information. Socialising is an important part of University life, but can become a problem if drugs and/or alcohol are added to the mix. We're here to help you understand and explore the impact different substances can have on your health and personal/social life. You can check your drinking levels to see what sort of drinker you are and what this means for your health on the Kingston University e-drink check website (run by the Alcohol Health Network). If you are concerned about your own drug or alcohol use, or that of someone close to you, this is a fantastic opportunity to speak to a substance recovery practitioner from The Kingston Wellbeing Service in confidence. You will be able to discuss your concerns and receive advice, support and an onward referral if necessary. When will the Clinic be open? The Substance Misuse Clinic will re commence from Monday 15th October and will run on alternate Mondays 2.30 - 4.30pm with the last appointment being offered at 4pm. Students can either be booked into a slot or they can come along as a drop in. Please call ahead to ensure the service is running that day if you would like to book an appointment on 020 8417 2172. Students at Kingston University are entitled to a free bag of condoms each month. These are available at Health Centre Penrhyn Road and the Counselling and Health Advice Centre Kingston Hill and other selected locations on campus, including the Fitness Centre, main receptions and KUSU bars. 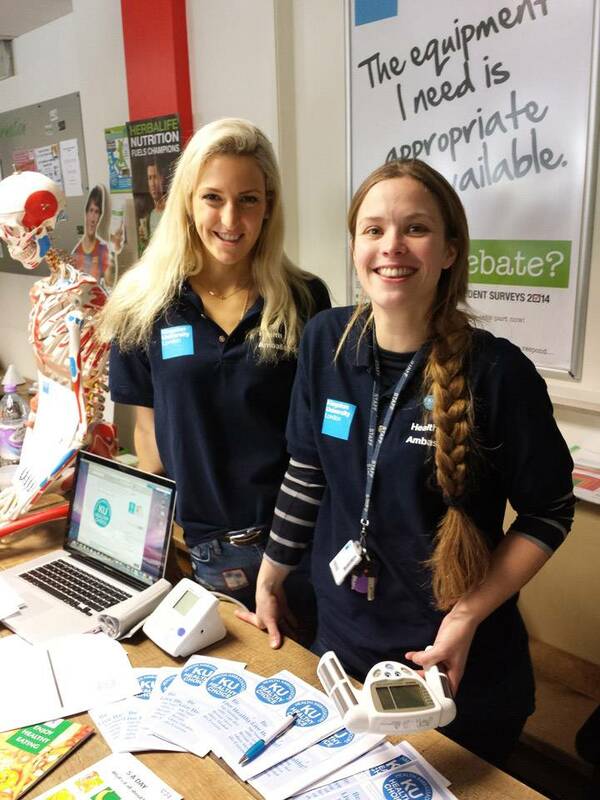 Monthly Health Focus is organised to help raise wellbeing awareness and highlight all of the services that the University, and the local community, has to offer to support healthy lifestyles.